“Some days you appreciate the dead; others, you don’t dare think about them.” These are the words of Mona Lisa LaPierre, teen blues musician, also known as the girl who never smiles. When her out-of-touch parents send her to the New Hampshire boondocks to stay with Grumps, her reclusive grandfather, Mona is not exactly thrilled. She nevertheless slings her beloved guitar, Rosalita, over her shoulder, says goodbye to Beetle, the oblivious boy she adores and sets out to meet her destiny. Destiny pops up in various forms: a blonde bear named Marilynn with a fondness for bananas, a fellow musician named Del, and a green-flamed motorcycle that was last seen racing away from her high school the day a girl from her school named Mia Delaney disappeared eighteen years ago. Mona’s search for Mia’s murderer becomes a quest for identity, love, and meaning. She is guided along the way by Grumps and her dead Grandmother, Bilki, whose spirit speaks to her in moments of need. Mona’s amazing journey is enriched by Native American traditions, a passion for music and art, and her growing realization that to achieve what is most important in her life, she must sacrifice what she most loves. 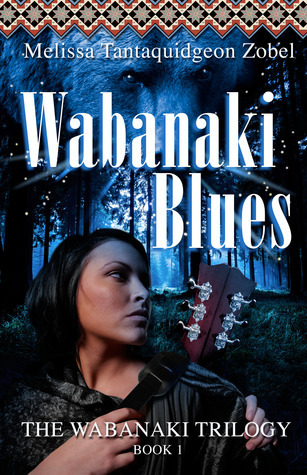 This is the first book in the Wabanaki Trilogy. Each of these books contains a terrestrial and a celestial mystery that helps Mona find her place in the universe.